My go-to makeup remover has to be hands down the Garner Miceller Cleansing water (see review here). 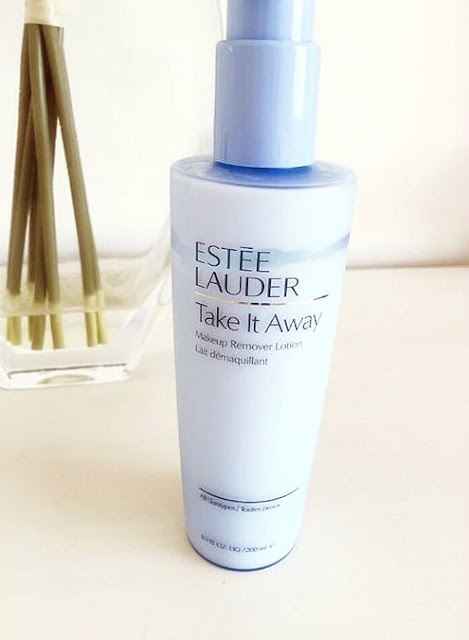 However, recently I have been reaching for the Estée Lauder Take It Away makeup remover. I’ve been really enjoying using a cream product to take off my makeup and I love how this one leaves my skin feeling so soft and smooth. I bought this product from Boots a few weeks ago for £22 and since, I've been using it nearly every day. I apply it onto my face when it is dry and it quickly breaks down all of my makeup-even my mascara! I then wash my face and I usually will use a cotton pad afterwards to just wipe around my eyes to make sure I have removed all of my eye-makeup. The remover is white and has a lotion-like consistency. It removes all of my makeup really easily and gently. It is perfect for me, as I have sensitive skin. This leaves my skin feeling really soft, like I have already applied moisturiser, which I love as most makeup removers leave my skin feeling dry. I bought the full size 200ml bottle which isn't really very handy for travelling I must admit, but overall, this has definitely become one of my skincare staples!